As appeared on The 570 Powered by Electric City. 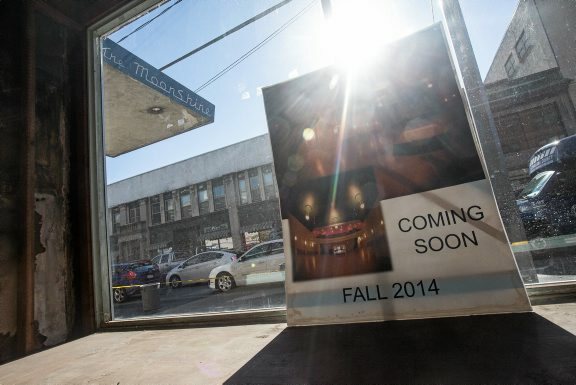 Renovate downtown venue looks to make its mark on the Scranton Scene. Patrons of the many establishments on Adams Avenue in Scranton have gazed upon an empty façade for years. The shuttered Moonshine Theatre only hosted a few performances before closing for good and has tantalized passers-by ever since. The building will finally see new life when The Leonard Theater, 335-339 Adams Ave., Scranton, opens its doors this week. The theater changed hands throughout its history, hosting the Knights of Columbus, Diva Theater and even a speakeasy during the prohibition era. The Diva Theater occupied the space from 1997 to 2004 and the ground floor housed Leonard’s hardware store for more than a century. The new name pays tribute to the former Adams Ave. landmark. “We figured people would be able to relate to it and we always try to keep the history of all the projects we get into,” said Kalinoski. The theater will be part of a growing community on the 300 block of Adams Ave, which is home to downtown fixture The Bog, Eden — a Vegan Cafe, Thai Rak Thai, Embassy Vinyl and will soon host a second location for Loyalty Barber Shop and Shave Parlor. After a long history and recent hiatus, it’s time for some new life downtown. The Leonard represents the ongoing strength of the Scranton scene and will provide another great space for events and entertainment. Those interested in booking can contact events@theleonardtheater.com and for more information, visit theleonardtheater.com. Check out Electric City and the570.com for full event listings.